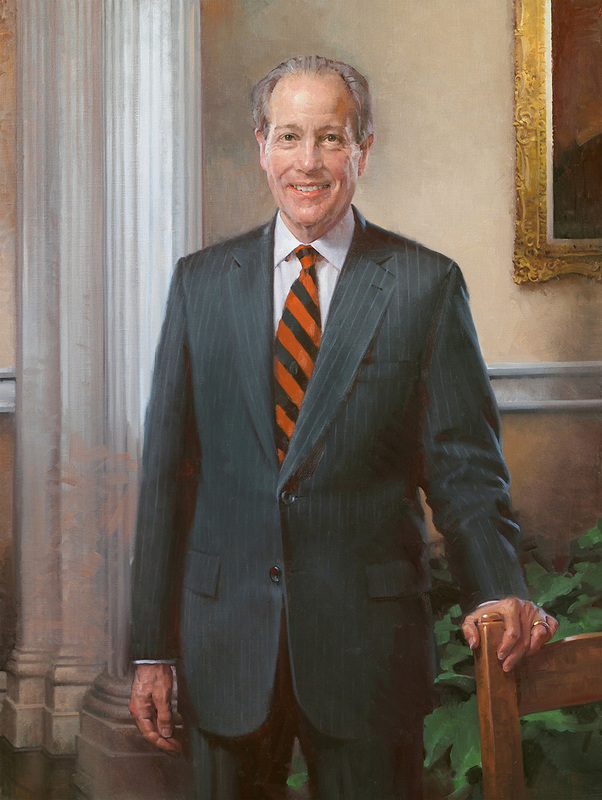 Dr. Dennis Campbell, an ordained Methodist minister, was dean of the Divinity School at Duke University before becoming Headmaster of Woodberry Forest School in Virginia. He serves as a trustee of the Duke Endowment. As we were preparing for Dr. Campbell's sitting for this portrait, on the tenth floor of a building in midtown New York, all of the electricity in the building suddenly failed. No elevators were operating. Incredibly, at the appointed time for the sitting, Dr. Campbell appeared at the door of the studio. He had walked up twenty flights of stairs! â€œI didn't want to be late,â€� he said, smiling.